There's fresh outrage after a tribute to victims of the London Bridge terror attack at a soccer match in Australia Thursday. The Australian national soccer team stood arm-in-arm for a moment of silence at the Adelaide Oval Thursday, but their opponents, the Saudi Arabian team, were players warming up across the field and getting into formation for the game. "Not participating in minutes silence is disgusting," one outraged fan tweeted. "Saudi players wandering around like they don't give a s***," wrote another. An additional fan called for the Fédération Internationale de Football Association (FIFA) to discipline the Saudi team over their "clear lack of respect shown prior to kick-off." 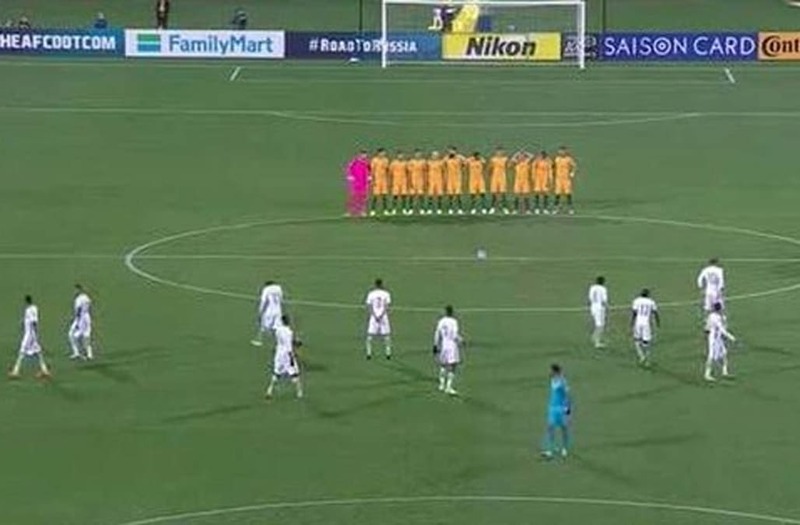 The Football Federation Australia (FFA), which is the country's soccer governing body, said the Saudis knew there would be a moment of silence prior to kick-off. A minutes silence is observed for the victims of the London terror attack, before the ICC Champions Trophy, Group B match at Edgbaston, Birmingham. Floral tributes are laid near Borough Market in London following Saturday's terrorist attack. A poster near Borough Market in London following Saturday's terrorist attack. "The FFA was further advised by Saudi team officials that this tradition was not in keeping with Saudi culture and they would move to their side of the field and respect our custom whilst taking their own positions on the field," The FFA said in a statement. The game, which was a World Cup qualifying match for the 2018 World Cup in Russia, saw Australia beat the Saudis 3-2.